One chapter in this book will totally transform my practice, so I can honestly say that reviewing this second edition has been well worthwhile. Despite a career largely in otology, my post-retirement part-time work has taken me back to the head and neck clinic. However, the significant skills I acquired in fine needle aspiration in the early 1980s do seem curiously lost to me now. Somehow, I can now produce a specimen that looks like a 12 oz steak and still be told by the cytologist that this is inadequate and non-diagnostic. I am convinced that there is a place reserved in heaven, therefore, for my friendly interventional radiologist who, armed with an ultrasound and what looks like a barbeque device, can reliably get a core sample. We should, however, all be developing some ultrasonography skills if we are ever to deliver the ‘one-stop’ service that is the ideal. In our UK National Health Service, the problem is lack of training, of kit and especially of time, in overbooked clinics. This is a substantial textbook, which first appeared in 2008. The second edition adds coverage of such topics as airway management, paediatrics, endobronchial procedures and fine needle aspiration (of which much more anon). The impression is of a surprisingly colourful and well-illustrated book, which is remarkable considering the monochrome topic. Ultrasonography does rely on movement, interaction and feedback to the operator, to build up a mental three-dimensional (3D) image. Fortunately, the countless illustrations are backed with online video images. Mind you, an early chapter on emerging advances promises 3D (even four-dimensional) reconstructions, as we have seen in fetal ultrasonography. There is a multi-author series of chapters covering the basic sciences and normal anatomy, whilst the thyroid obviously dominates the text. For salivary glands and neck masses, I increasingly rely on a technology that seemed at a dead end and confined to pre-natal checks just a few decades ago. 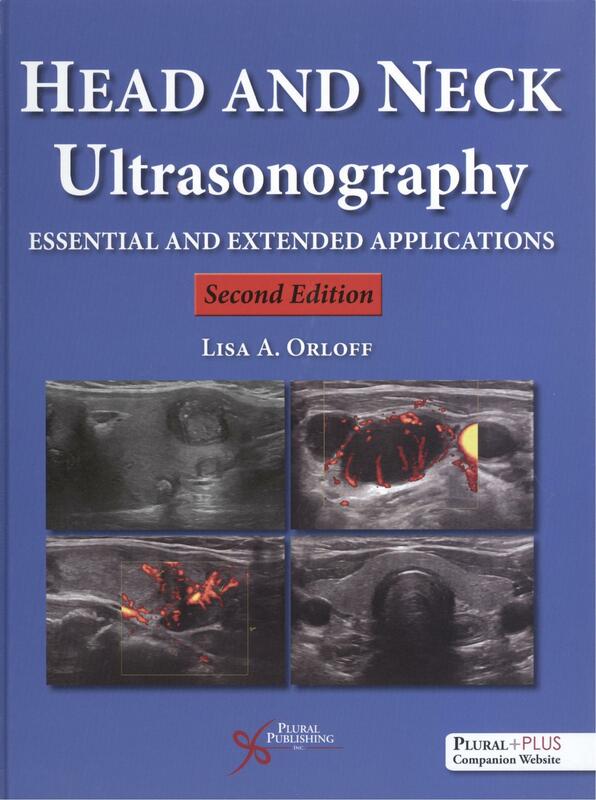 There are some surprises, with chapters on ultrasonography of the larynx, the bronchi, the oesophagus, the paranasal sinuses and, especially, the ear, where I need some further convincing. Is that endotracheal tube in the right place? I had not thought of that. Clever. But then comes a series of chapters on interventional ultrasonography. This is the fun bit. For me, Dr Abel’s chapter on ‘The Science and Art of Optimal Fine Needle Biopsy and Smear Making’ made for a marvellous 30 pages, which I have now read three times. Every time I do so, I realise where and in how many ways I have been doing this…if not wrongly, then without that ‘art’ he describes, at the very least. Use intravenous (IV) extension tubing, touch the needle on the slide, use a smaller needle (however counter-intuitive), try the ‘snap technique’. Even if I never pick up an ultrasonography probe in my latter years, this advice has altered my practice. Vascular ultrasonography, power Doppler sonography, IV contrast and shear wave elastography will remain the province of the radiologists, but there is so much in this book to appeal to any head and neck oncologist, to the endocrine surgeon, or to our vascular fraternity. But it was Chapter 16 that ‘did it for me’; I almost look forward to my next ‘two-week wait’ clinic, even if I do lack the ultrasonography machine, let alone the skill to exploit it, to then guide my needle. There is a real need for a book such as this, to inspire the next generation to develop the skills to perform clinic ultrasonography, if only at a basic level.